A reminder that the IOG monthly social meeting will be held tonight, 14th May, from 20:00 in the upstairs rooms of The Thomas Wolsey Freehouse, located at 9 St. Peter’s Street, IPSWICH, IP1 1XF, near the Old Cattle Market Bus Station. Parking can be found at the nearby Cromwell Square and Cardinal Park car parks and across the road from St Peters. A reminder that the IOG monthly social meeting will be held tonight, 12th March, from 20:00 in the upstairs rooms of The Thomas Wolsey Freehouse, located at 9 St. Peters Street, IPSWICH, IP1 1XF, near the Old Cattle Market Bus Station. Car parking can be found at the nearby Cromwell Square and Cardinal Park car parks. 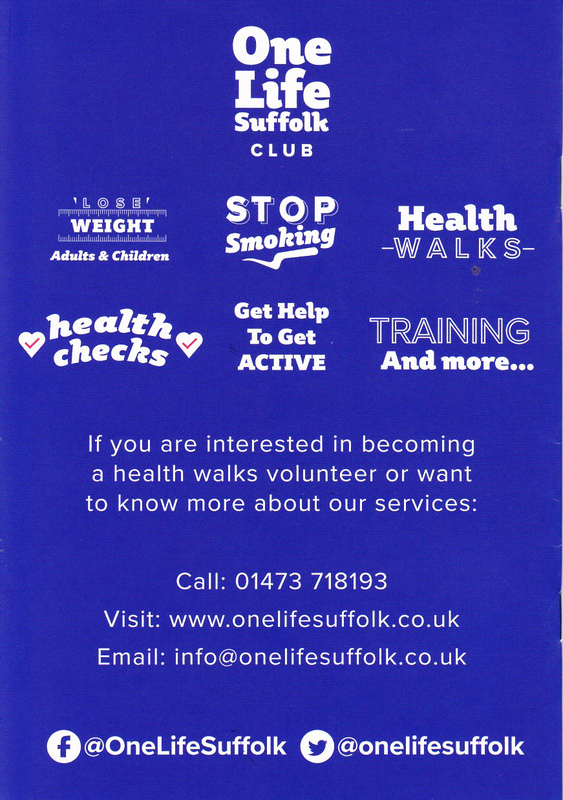 Walking for Health is run by the Ramblers and Macmillan Cancer Support. The walks are short (up to 90 mins) and over easy terrain, and are open to everyone but are especially aimed at those who are least active. 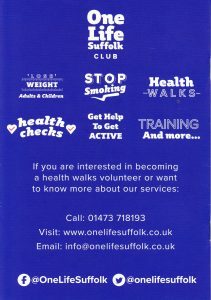 In Suffolk, the health walks are organised by One Life Suffolk, and advertised as “Stepping Out in Suffolk”. Look out for the brochures in local libraries. They also have an online calendar of walks (see link below). 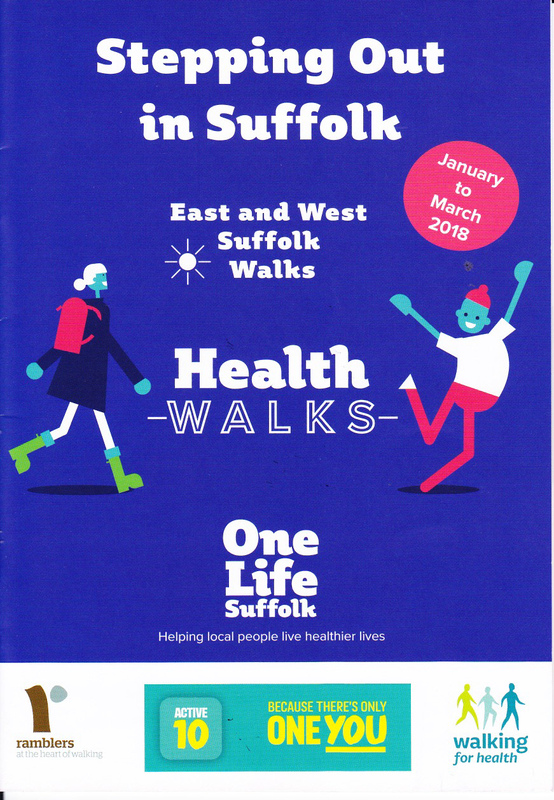 Although they already have a relationship with the Ramblers, the One Life Suffolk team have agreed to advertise the IOG to people who are ready to move on to longer walks. A reminder that the IOG monthly social meeting will be held tonight, 12th February, from 20:00 in the upstairs rooms of The Thomas Wolsey Freehouse, located at 9 St. Peters Street, IPSWICH, IP1 1XF, near the Old Cattle Market Bus Station. Car parking can be found at the nearby Cromwell Square and Cardinal Park car parks. 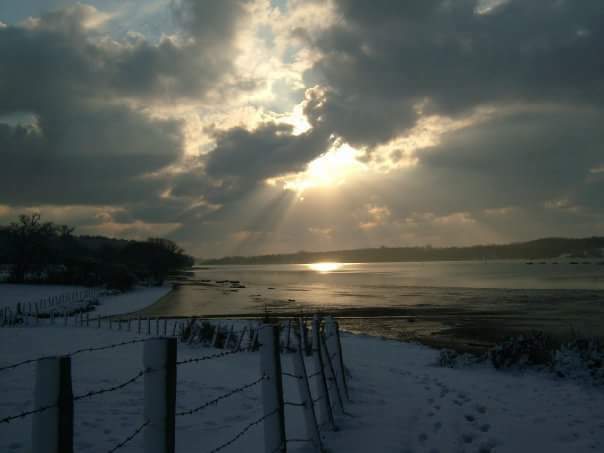 Anne-Marie Fyfe presents an evening on writers and the sea, from great novelists, travel-writers and poets of the past, to local poets who have taken part in her workshops. Having grown up by the sea, Anne-Marie Fyfe’s five collections of poetry and her new project combining prose and poetry all feature the recurring presence of the sea. 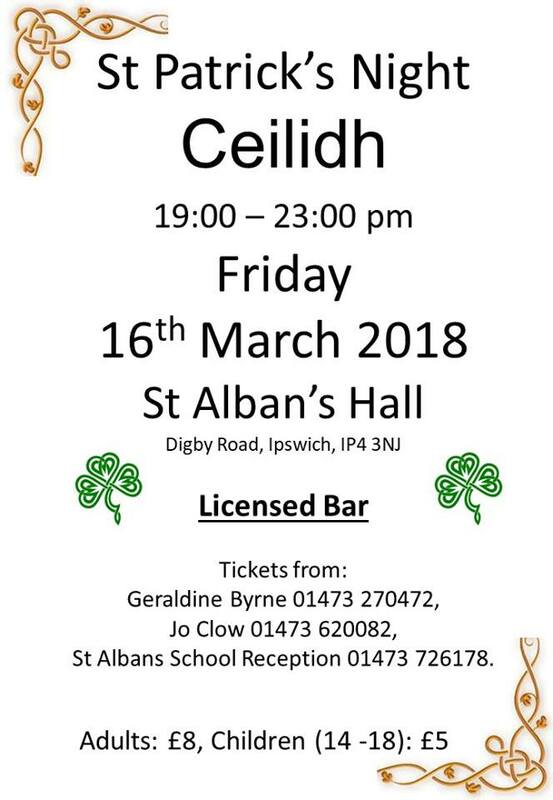 With sea-music by Cahal Dallat (accordion/mandolin/flute). John Wright – a new IOG member – wants to draw everyone’s attention to the following events. Both sound likely to attract interest! Firstly, the Midnight Walk for St. Elizabeth Hospice in May. Walkers can sign up for the 6 or 10 mile walk via the hospice website. Secondly, in August there is a 2nd cycling tour of Germany, again to raise funds for the hospice. 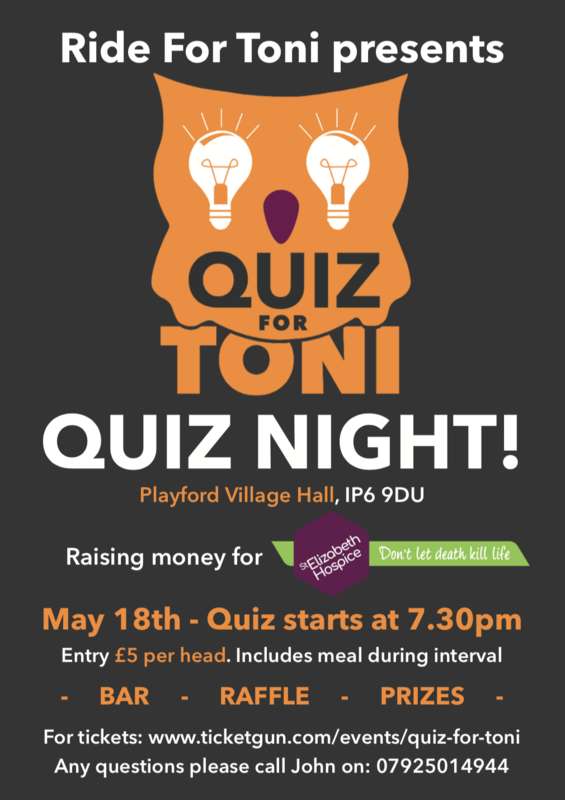 www.ridefortoni.co.uk (scroll down to bottom to express an interest. Further details in Campaigns from the menu at top right). It’s about 250 miles over 5 days beginning 21st August. All are welcome. No prior experience needed. (Last year I started training from scratch in June and fairly easily managed 50+ miles per day on the tour in August). We can help with the training and fundraising aspects. Accommodation, travel, insurance and food all included. It would be lovely if anyone wants to join us! Thank you to all those members who made it to last week’s AGM and helped express the view of the membership. One thing the committee was able to unveil at the meeting, are brand new plastic key tags for all our group members which can be used a proof of IOG membership. 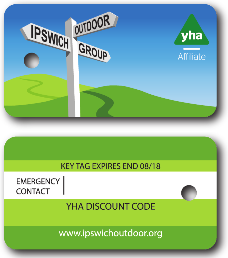 They contain the members name and emergency contact details together with the group’s discount code for the YHA. The group has worked towards a membership card for several years, ever since we approached local outdoor retailers and were granted discounts at many of them. The details of the benefits available to group members have until now not been completely published, as several of the retailers requested that the group provide our members with some form of proof of membership that could be shown at checkout. The group trialled emailed paper membership cards in 2014/15 & 2015/16 with some success, but the amount of effort required to produce them was prohibitive and being only printed paper, their authenticity could too easily be questioned. Going forward, this year we have worked with a supplier who can provide us with plastic key tags annually – budgeted out of the existing member’s subscription fee – and similar to those used by popular shop loyalty card schemes. The IOG key tags have now been produced and are valid for the remainder of this IOG membership year. Please see the recent post to the IOG announce mailing list for details of how to collect yours. There is also now a complete list of group membership benefits for the first time on the Joining the IOG & Benefits page. This includes details of all the local retailers that offer discounts to group members, as well as information on the YHA benefits that are provided to us, as Affiliate Group members. Many of these local discounts were agreed by former committee member Tamara Moreau, so a hat-tip to her for obtaining them originally. This year, Christina and I have re-confirmed with all the listed retailers that they are still happy to support the group and we have shown them the new IOG key tag design. The pair of us were also able to add a couple of new local retailers to the list: GO Outdoors and Elmy Cycles. Full details of their new offers of support are available on the page above. Many new (and existing!) members of the group are probably unaware of the range of benefits available to them as IOG members. We hope that with all the information now readily available direct from our website, these will be much more widely used by group members.